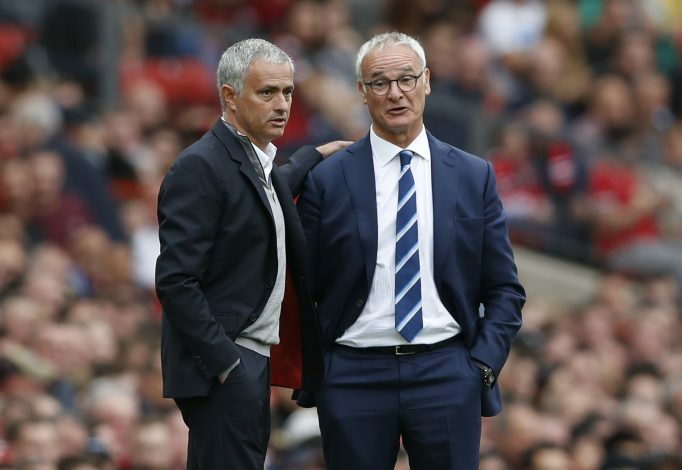 Manchester United boss Jose Mourinho has lent his full support to Claudio Ranieri after the Italian was fired by Leicester City. The Club’s hierarchy decided to sack the FIFA manager of The Year after a disastrous run of results which left them hobbling dangerously above the Premier League relegation zone. The axe comes just nine months after Ranieri defied all odds to guide Leicester to the dream league title. But this season hasn’t hold the same magic for him. The results weren’t coming, and the team looked lost or just misguided. And now Manchester United manager Mourinho, who was shown the door by Chelsea last season after he steered them to top honours, has sent a message of support to the 65-year-old Italian. He uploaded a picture of the pair to Instagram, along with the caption: “CHAMPION OF ENGLAND and FIFA MANAGER of THE YEAR. Sacked. Winning the Premier League once used to confirm a degree of job security but with the sacking of Ranieri it has yet again proved to be some sort of a curse than a blessing. The brutal decision to scrap the man who led them to one of the greatest triumphs in English football history was made after Wednesday’s 2-1 Champions League loss to Sevilla. The club confirmed his departure on Thursday night, labelling the decision ‘painful’ but ‘necessary’. Leicester’s shock axing saw the Italian become the fifth manager in five seasons to last less than two years longer in the job.